Coastal processes refers to the physical marine environment such as the tides, currents, waves and sediment transport. The Severn Estuary has many unique coastal process characteristics, but it is the regular exceptionally large hypertidal range that makes this location of particular interest to tidal lagoons and tidal barrages. The large tidal range leads to a large volume of water being exchanged between successive high and low waters. This exchange creates very strong tidal currents which are sufficient to keep large amounts of fine material in suspension and prevent major channels from silting up. Placing any structure in the sea has the potential to cause changes to features through various mechanisms. Changes in flows can cause increased erosion if speeds increase and these are sufficient to lift sediment into suspension. Reduced flow speeds can cause increased sediment deposition. These alterations to the seabed terrain and shape of the estuary are direct impacts. However, changes of this nature could in turn have an indirect impact on other areas of the marine environment, such as flood risk, water quality, navigation and marine ecology. These indirect impacts are also assessed within an EIA. Assessment of these potential changes is informed by detailed field surveys, the results of which are fed into coastal processes modelling software to identify and assess the predicted impacts on waves, tides and sediment plumes. Tidal Lagoon Power have used hydrodynamic models to gain a more detailed understanding of the processes in place and the likely impacts arising from the project. 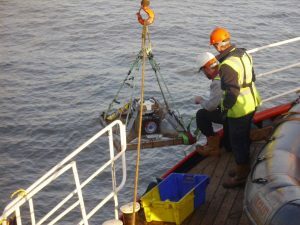 These models have been set up using data derived from geophysical surveys and collected from nine oceanographic moorings in the Severn Estuary. The models will provide data obtained on water levels, flows/currents, waves, suspended sediments, water quality, sediment quality and suspended sediment concentrations.